James Gray’s latest film has been described by various parts of the media as an instant classic, with continual praise being steeped upon it from all angles. “Sublime”, “the revelation of the year”, “a rare piece of contemporary classical cinema.” All phrases used to describe “Z”. 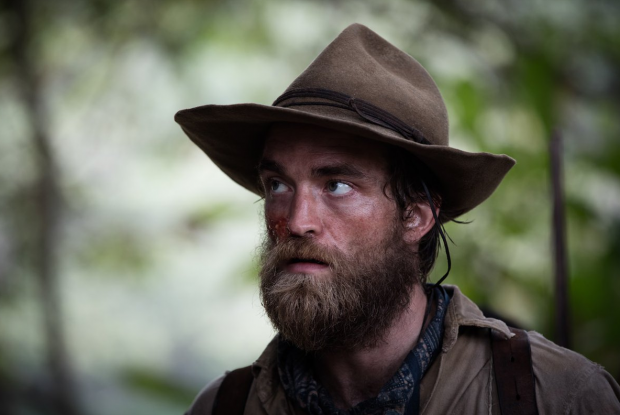 The true story revolves around British explorer Percy Fawcett (Charlie Hunnam). Pawcett was a member of the British army who, at the request of the British Royal Geographical Society (headed up by Ian McDiarmid), goes on a mapping expedition to the border between Bolivia and Brazil just after the turn of the 20th Century and finds a hitherto unknown tribe. The film tells of his initial and return trips there, along with his relationships with his peers, his expedition team (including an unrecognisable Robert Pattinson), his wife (Sienna Miller) and his children (one of which is eventually portrayed by Tom Holland). Ironically, “Z” doesn’t tread brand new cinematic ground. It has the feel of a film that was made many decades ago. This isn’t necessarily a good thing. For when The Artist paid tribute to film’s silent era, or when La La Land paid tribute to the great MGM musicals, we remembered great experiences we’d had enjoying films throughout the ages. I know “Z” feels like an old film, but I don’t think that old film is any good. Sadly, with so much time to think about the film between the interesting parts, it becomes easy to over-analyse, a subconscious decision my brain made to keep itself entertained. The heart of the issue may well be Hunman himself, or the character he is portraying. It can’t be his fault – we already know he’s a good actor. So the blame should lie with either the director or the writer. Unfortunately for James Gray, he is both. Too often we skipped over interesting parts of his life. The Great War is skipped over and we get a snapshot in the form of him leading a troop into battle in the Somme. It’s actually one of the highlights of the film, portrayed without any Hollywood bravado, but we are left to guess about critical developments in his personality, the strain left on his family, and the strengthened relationship with his companions Henry Coston (Pattinson) and Arthur Manley (Edward Ashley). This companionship is sadly dropped before the third act gets going, which is a shame as it’s the part of the film that really held my interest. The strange result is that we end up with an over-long story that feels lethargic, which covers a man’s desire to further his family name and his military career, his strained relationship with his wife and children, his growing relationship with his expedition companions and a small amount of professional rivalry with a fellow explorer. We get both too much and too little, which is a great shame. There’s enough to keep the interest, but somehow it doesn’t feel right. John Lee Hancock is busily carving out a name for himself as the creator of sanitised versions of the most successful business men in the history of humanity, treading perhaps where no director would dare through a labyrinth of red tape. In 2013 it was Saving Mr Banks, Hancock’s portrayal of an important segment of Walt Disney’s life as he helped convince P.L. Travers to release the rights to Mary Poppins and shaped the now-classic motion picture. This time around he’s tackling the origins of one of the biggest global brands of the modern world: McDonald’s. McDonald’s hasn’t had a successful time thus far being portrayed on screen. Outside the overbearing product placement that everybody hates (even though they often pay for significant portions of films), if you ask anyone whether or not they’ve seen a film about McDonald’s, they will more than likely start talking about one of two films: McLibel or Super Size Me. Both are excellent as films and even better in showing the company in an extremely negative light. 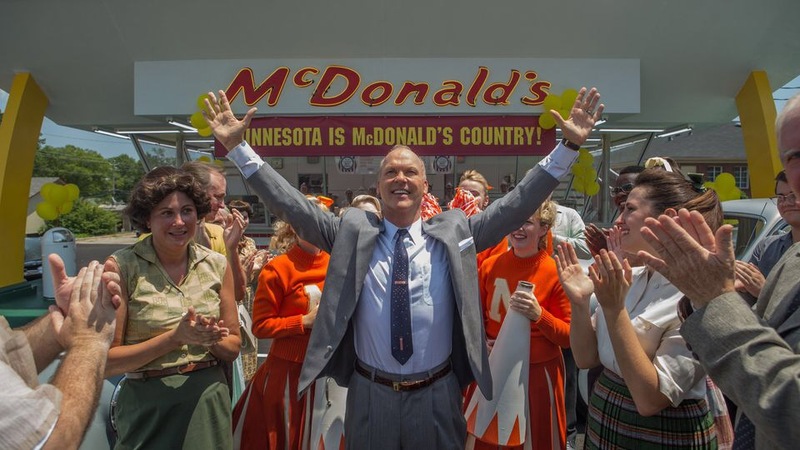 The Founder isn’t quite as negative towards the iconic brand as the recent memorable efforts, going a long way to provide a balanced view of the origins of the story. It may be sanitised but it is at least reasonably based on facts (to our best knowledge). Michael Keaton plays Ray Croc, a driven but unsuccessful salesman who happens upon the first McDonald’s restaurant whilst trying to sell milkshake making machines. This restaurant is owned by Richard and Maurice McDonald (Nick Offerman and John Carroll Lynch) and they soon go into partnership to franchise the company and start growing it across the rest of USA. The biopic serves two purposes for the company. Firstly, it portrays the McDonald brothers’ story as being as wholesome and family-friendly as any of the McDonald’s adverts that are create today. This was a family company that didn’t want to be taken over by the global powers, resisting all the way and almost unbelievably against making any profit. Looking at it cynically, it serves as an advert that champions the company’s family values. Secondly, it portrays the man who turned it into a global power as self-driven, full of business acumen but at his most basic a self-centred, cold and heartless money grabber. We aren’t supposed to like him, though I can’t help but think that the characterisation will be a template for those wishing to succeed in business. I hope not – it would be a poorly-chosen idol. The overall result is that we don’t feel encouraged to like our central character and it feels like the side of a story that aligns with the global branding message rather than one we can truly enjoy. The problem is that Keaton is far too charismatic to not be liked and the Lynch/Offerman duo are sabotaging the success of the company at every turn. This makes the emotional journey slightly skewed as we try to take sides and don’t really know where to land. Some will champion its subtlety but I don’t see it like that. I see it as a great actor shining through an advertising campaign disguised as a film. Given the state of the political landscape right now, I don’t think it’s the film the world needs. The 2015 BFI London Film Festival came to a close this evening with the European Premiere of Danny Boyle’s Steve Jobs. With all the stars out on the red carpet, it had all the hallmarks of a blockbuster finale on the scale of any of the Apple product launches we’ve become so accustomed to. The biopic plays out in three distinct acts, all during iconic Jobs-headed product launches: the 1984 launch of the first Macintosh home computer; the 1988 launch of the NeXT Computer for NeXT Inc. (the company Jobs set up after being forced out of Apple); and ending with the 1998 launch of the first iMac computer. Whilst it may risk being a big advert for Apple, the poor picture painted of the figurehead of the company throughout ensures that is never the case. The Steve Jobs we get to know over the course of the three acts, which play out in real time in the lead up to each of the presentations Jobs is giving, is narcissistic and self-centred, only relenting from the power trip when he finally achieves the success he has been driving for. It shows softer sides of his personality and attempts to justify his unique traits but the focus on his tempestuous relationship with his ex-girlfriend Chrisann Brennan and their child Lisa ensures his best side is never seen. It is actually a difficult watch throughout. It is basically two hours of arguments, eventually becoming tiring. It does successfully portray the frantic and intense atmosphere of a huge-scale product launch in a very real manner. It fails, however, to convince that this is a good platform for great cinema. Michael Fassbender plays the Steve Jobs we see here to perfection, capturing the nuances required of someone who is heartless to the extent of being cruel. Kate Winslet’s turn as Joanna Hoffman is steadier than her accent, and Seth Roger puts in an adequate performance as Steve Wozniak. The standout performance is quite minor but nontheless critical: Michael Stuhbarg is exceptional as the bullied inventor Andy Hertzfield. The biggest success is the genius move to film the picture on era-appropriate equipment. The three scenes were each filmed using totally different techniques: 1984 was captured on beautiful 16mm film, 1988 on 35mm film and 1998 on digital film. The evolution of technology is reflected in the format change and portrays each era in a manner that would have been impossible with digital post-production. Whilst it isn’t a let down, it will be difficult to find a sustainable market for this film. 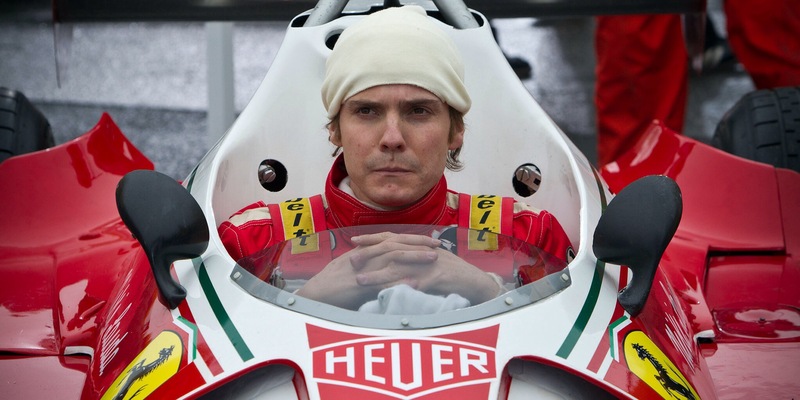 It’s not a straight biopic, it isn’t hugely in favour of Apple, nor is it against it. It’s a struggle to watch and is unlikely to have people raving about its successes as they leave the cinema. It could be Danny Boyle’s Newton moment. 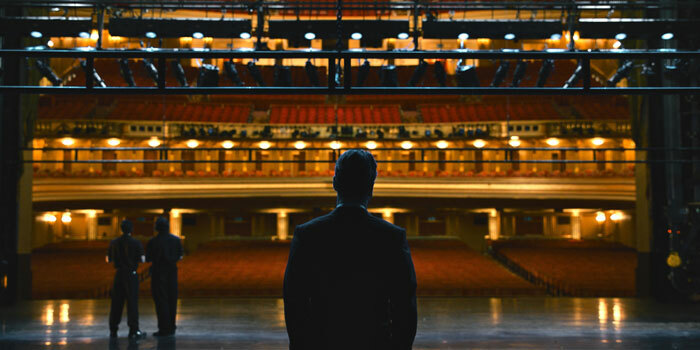 Steve Jobs is released in cinemas in the UK in November. If you enjoyed the film so much you’re interested in some further viewing, then check out the below videos. In the film you see the 40 minutes building up to the release of three products, but never get to see the keynotes themselves. Every so often I see a new film that absolutely blows my socks off, where the storyline sits perfectly with my mood and I get totally enthralled in the joyous and rare occasion of seeing what could be one of my favourite films of all time. The Imitation Game was one of those films. It is a film in three intertwined parts, covering three key periods of Alan Turing’s life: the schooldays in which Alex Lawther plays a young Turing, complete with serious bullying and a growing fondness of his best friend Christopher; the war years, where he devises and eventually builds the Turing machine that eventually cracks the Enigma code (sorry, spoiler alert! ); and the early 1960s when he is investigated and prosecuted for his homosexuality. All three are critical to giving us the full picture of Turing throughout his life. Cumberbatch’s ability to transform himself and become his subject is uncanny, perhaps rivalled only by Michael Sheen by today’s younger actors for chameleon-like abilities. Having seen him in so many different roles (for range you can compare his performance as Smaug in the current Hobbit trilogy to his powerful turn in 12 Years A Slave), he never ceases to amaze me as to how there’s such little crossover between his characters. And so it is here: a totally unique take on a totally unique person. The scenes during which the machine is developed and successfully executed is the real joy to behold. The take on Turing has no elements of a stereotypical cinema autism sufferer; this tale is set in the real world and without any intentional throwaway punchlines. People with severe autism often find themselves – intentionally or not – having disconnected exchanges with others in real life that to outsiders seem very hilarious, though the comedy here is brought to life by the chemistry with his on-screen companions. Perhaps the best example of this was the Armed Forces interview with Charles Dance, which almost completely ruins Turing’s chances of taking part in the war efforts. I won’t explain it, but it is certainly a highlight. I imagine the film will come under criticism from people accusing it of being a slightly jingoistic, self-appreciating celebration of how great Great Britain really was back in the day. Very little screen time is given to even mentioning any other country’s war efforts. 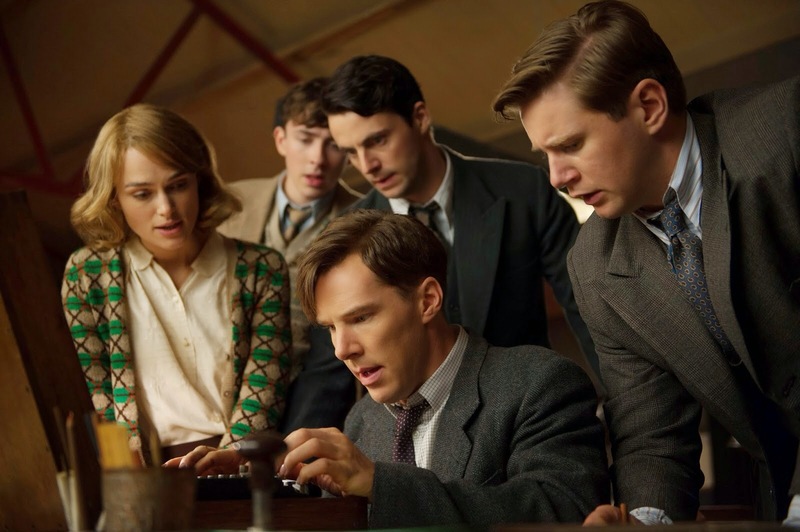 The truth is that Britain really were the only nation involved with the Turing machines and cracking Enigma, but this film isn’t about a war but about a man. In any case, it’s not only a celebration of a fantastic collaborative effort of some of the greatest minds of a generation, but also a celebration of a time when it was okay to be a proud Brit; when we had plenty to be proud of on a global scale. And jolly good it was too. I’d love to contribute some criticism of it and counter balance why I think negative aspects are acceptable, but nothing springs to mind. The support cast (Keira Knightley, Martin Strong, Charles Dance) were phenomenal, and ensured this didn’t turn into a one-man-show. The music was truly sublime and fitted the mood well. There really wasn’t anything to say that could be considered negative. Please, do yourself a favour. Watch this film. 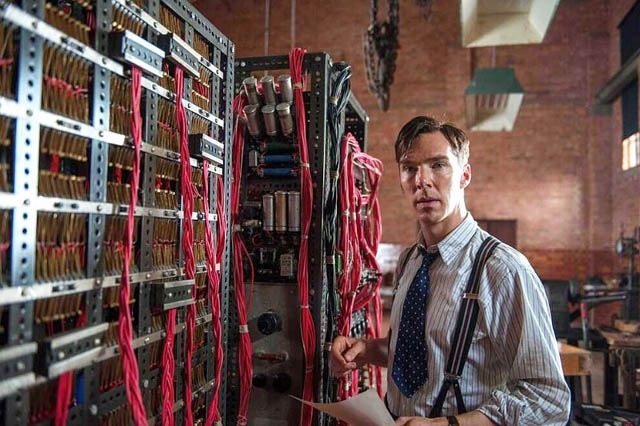 The Imitation Game is released in UK cinemas on 14th November and in the USA on 21st November. With the Oscars taking place later tonight, I look at the films that have been overlooked by the Academy. Okay, it wasn’t the best picture Pixar has come up with over the years. It wasn’t even the best Monsters film they’ve produced. 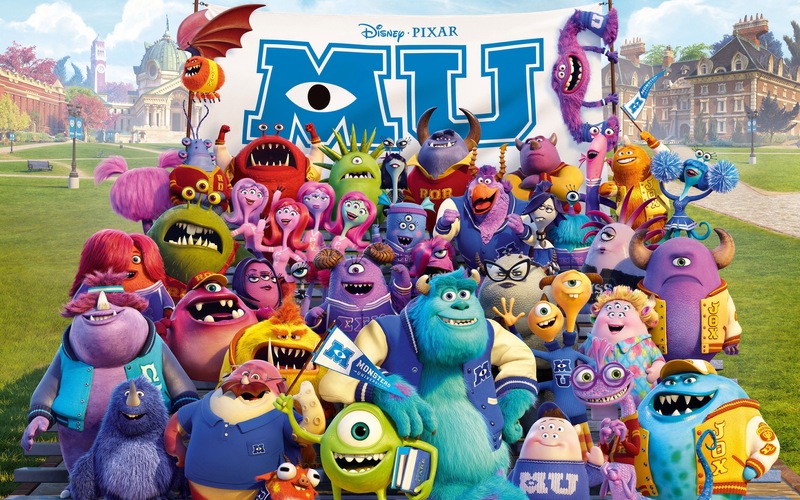 That said, they did find space for The Croods in the nomination pool, which was fine but could you really say it was better than MU? If Pixar had released The Croods, there would have been mass derision. Miyazaki’s The Wind Rises is a hot tip to take the prize this year, but I can’t comment until it gets a UK release. I feel like this film has suffered because it wasn’t released in the typical awards season. It didn’t play by the book. It came out back in September 2013 and performed well at the box office without an Academy recommendation. Bruhl and Hemsley were both outstanding, not just as eerily accurate take-offs but as flawless acting performances in their own right. The recreation of the classic races was spot on from Howard and the story was as exhilarating as the action. In my eyes, it could have easily come in as the 10th film on the best film list. To not even get an appreciative nod for best makeup (Bruhl’s scarring was critical and spot on) or visual effects (though admittedly this was a strong category this year) is surprising. It’s the Coen brothers latest release and they usually get nominated, right? Not this year. Whilst it’s a strong year for nominations in the Best Picture category, it should have received a nod for best song. In fact, whole soundtrack could have been considered. It received one for best sound mixing, which is a bit of a throwaway category overall. At least it was appreciated on some level. Okay, I don’t agree that this film should have been nominated for best film or best acting or anything else. 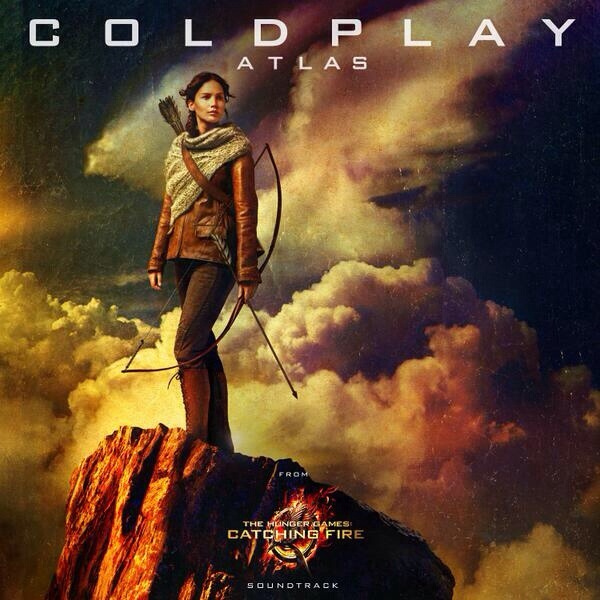 However, the song “Atlas” by Coldplay is easily one of the best original songs in what was admittedly a poor year for soundtracks. It’s a shame they had a song on the list that was later disqualified, especially one as awful as “Alone, Yet Not Alone” by Bruce Broughton and Dennis Spiegel. There was also space for the bland “Ordinary Love” by U2. Neither of these should have made it and they would have made room for “Atlas” and, well, anything from Inside Llewyn Davis or Her. 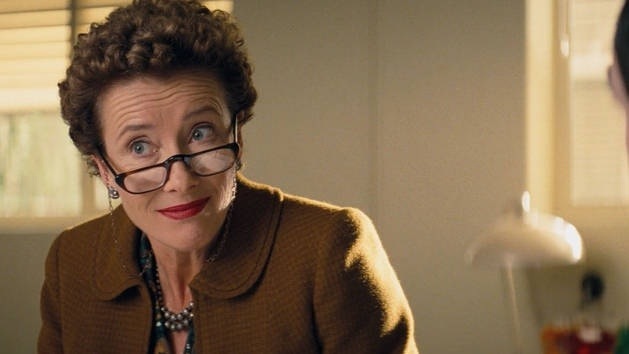 One of the biggest and most talked about shocks was the lack of a nomination for Emma Thompson in Saving Mr Banks. It’s frustrating to see Meryl Streep nominated for the 18th time for a role that she will never win the top prize for when Thompson could have been a front runner for. 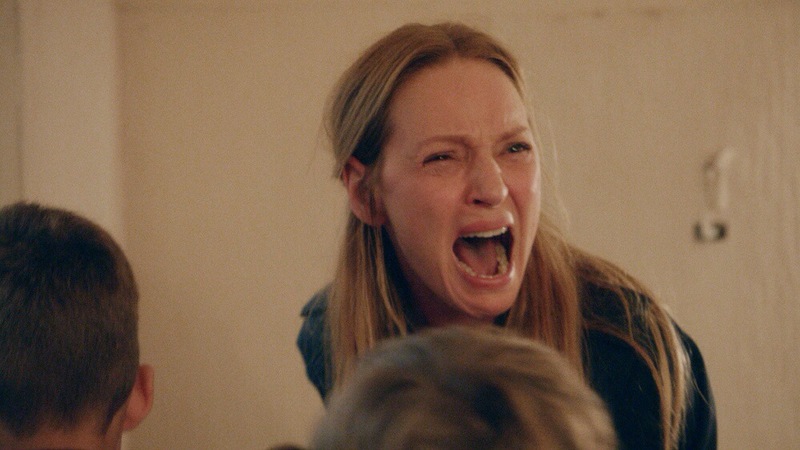 I would have loved it if the Academy could have found it in themselves to nominate Uma Thurman’s fantastic supporting performance in Lars Von Trier’s latest film. It blew me away and really stood out in what was otherwise a pretty bland film. That said, it may not have qualified this year so we may have to wait another year before we see if this – and indeed Christian Slater’s excellent performance – was overlooked. Tom Hanks missed out twice for Saving Mr Banks and Captain Phillips, the latter being the biggest shock as it is probably his best performance for over a decade. Whoever thought the cinematography in 12 Years A Slave wasn’t worth noting must have been on drugs. Nothing for Robert Redford’s performance in All Is Lost was also a big surprise, though I’m not convinced Redford lost any sleep over it. 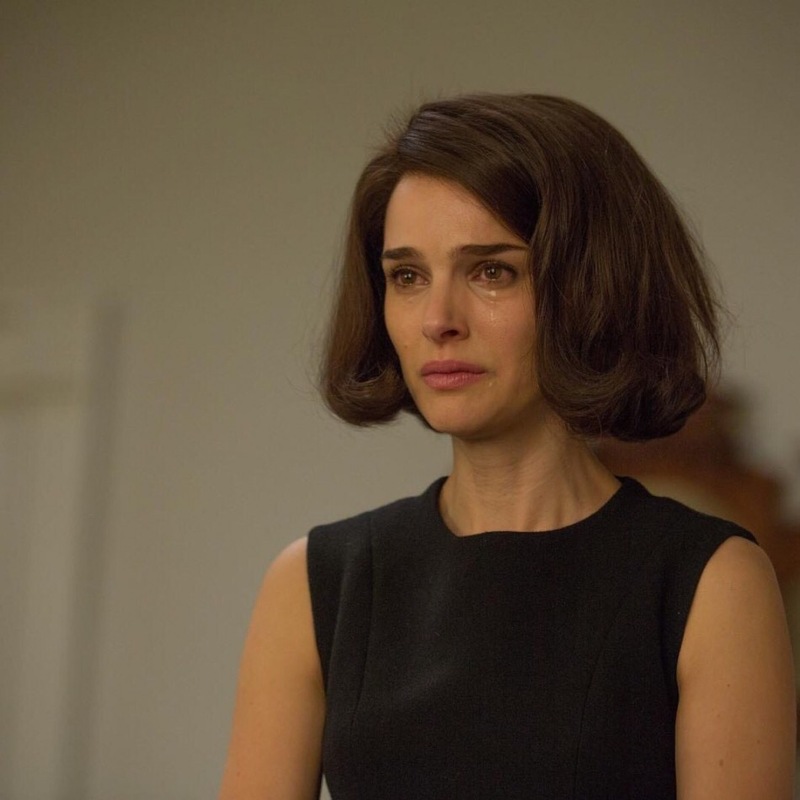 The Butler was a massive omission but maybe a little too much like a typical Oscar nominee. 12 Years A Slave is a unique film in many ways. Most of the cast are complete unknowns. The budget was very low ($20m USD). There isn’t a massive push to advertise it anywhere, with very few trailers being seen at the cinema and on TV (I do the former quite regularly and I think I’ve seen one). Despite this, it has seemingly grown popular through word of mouth. This is something that’s very difficult to achieve when most of its momentum has come before the release date. The pattern is similar to that of Shawshank Redemption, though at the time that film really didn’t start well at the box office. It became a sleeper hit and enjoyed success many months after the initial release, thanks to continued praise from critics and several awards nominations and wins. Indeed, Shawshank’s Dufresne isn’t wholly unlike Northup, the main character in 12 Years. Both are imprisoned against their will for entirely the wrong reasons and are determined to see that justice is realised somehow. It is the kind of story that keeps you captivated and as time goes on you become more and more engrossed in the fact that these people should get the happy ending they deserve. Steve McQueen is a very clever director. With his background in the visual arts (he won the Turner Prize in 1999), he adds an artistic flair to every shot he takes. Much like his debut Hunger, almost every shot could be framed and put on the wall to enjoy in its own right. The cinematography is just that good. Equally, he doesn’t shy away from allowing the camera to linger on our characters as they encounter struggles. One shot in particular sticks in your mind, when Soloman is partially hung in his first plantation and having to stand on the tips of his toes to draw the smallest of breaths. A less confident director would have cut away several times to show other subplots developing, sporadically cutting back to show he is still in pain. McQueen’s choice to stay with him is an example of how bold he is prepared to be and it is one of the most striking parts of the film. I got confused by some of the sound editing. Several times there was an active choice to allow clashes between the score and the natural sounds of the scene, and most of the time it didn’t really work. The choice was obviously made to let the clash signify discomfort, and was occasionally exacerbated by bleeding audio into the following shots or scene, and in one particular scene, where Eliza was uncontrollably crying, it was overly confusing and distracted me from what I was supposed to be watching. 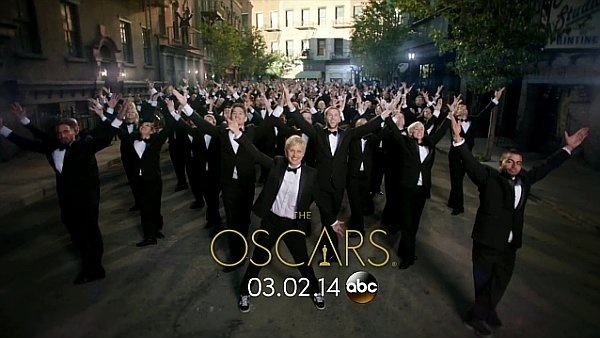 That aside, it is rightly being considered to sweep the board at this year’s Oscars. I don’t think it will, because there are too many very strong contenders with no outright frontrunner. If it gets none, there will of course be uproar. However, the same could also be said of Gravity, Dallas Buyers’ Club, Captain Phillips, American Hustle, The Wolf of Wallstreet. The list goes on. It is a tough year to pick a winner in each and every category. The deliberation forced on the Academy panel is a sign of what a fantastic year it has been to be a fan of cinema. 12 Years a Slave in out in UK cinemas now.